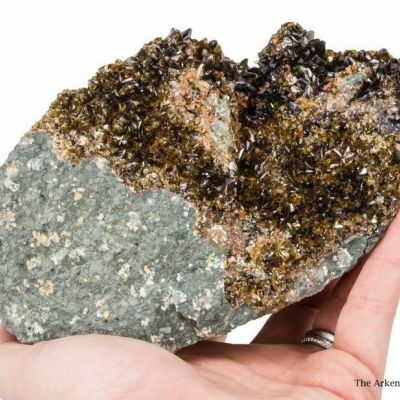 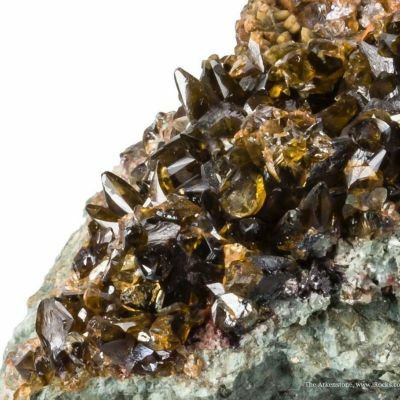 This is a first-rate combination piece from Morro Velho, the world's oldest continually producing gold mine, which started in 1725. 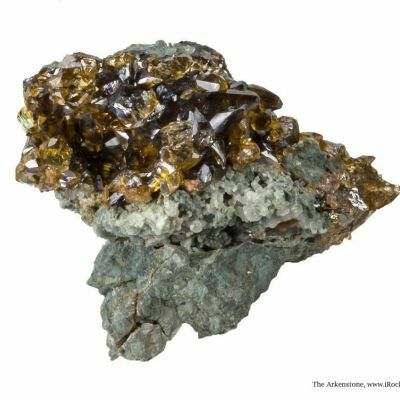 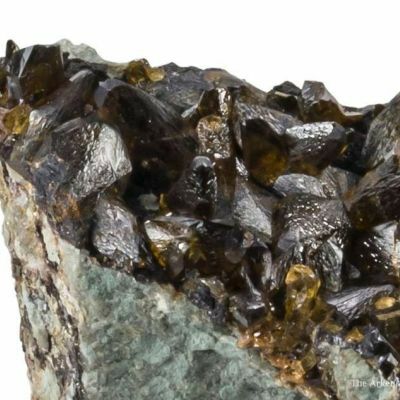 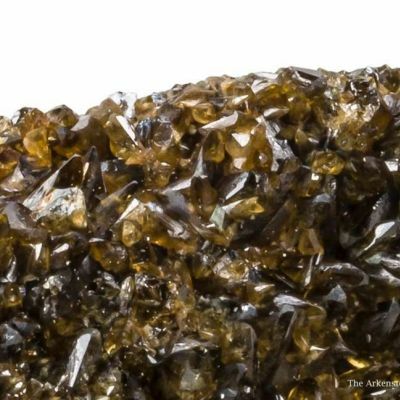 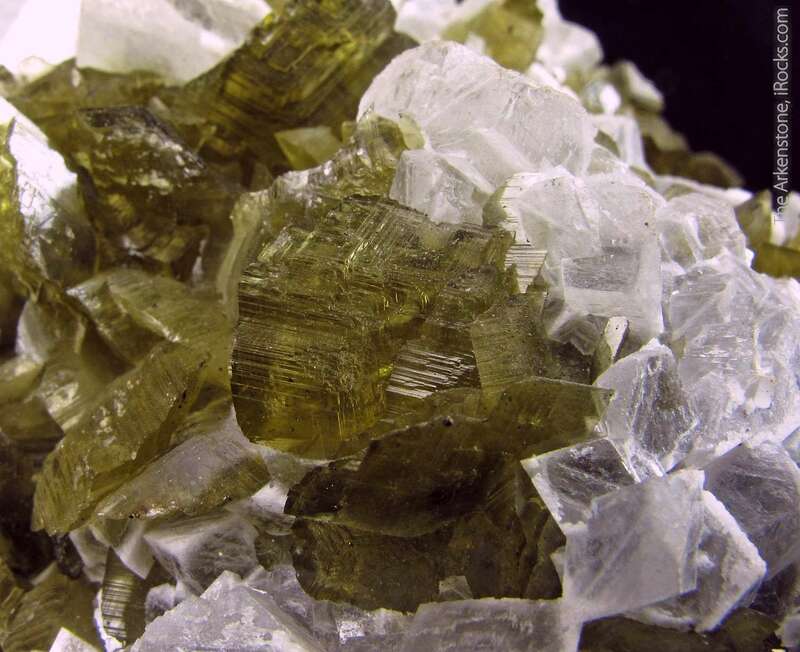 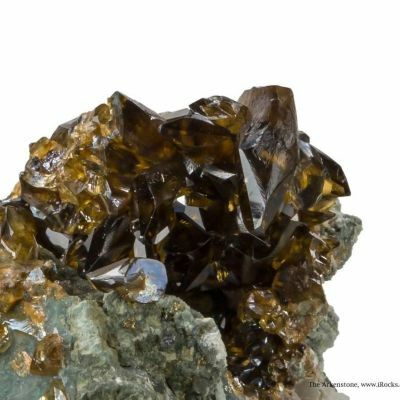 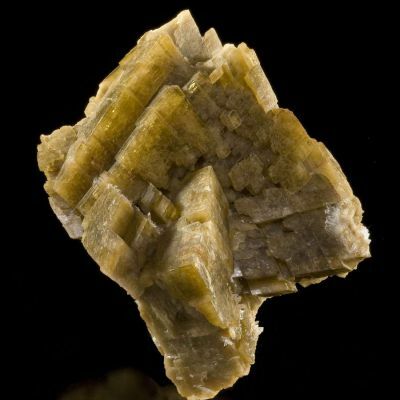 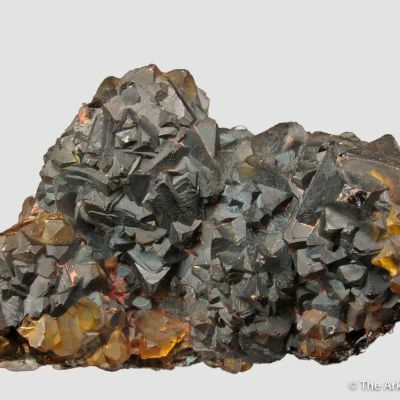 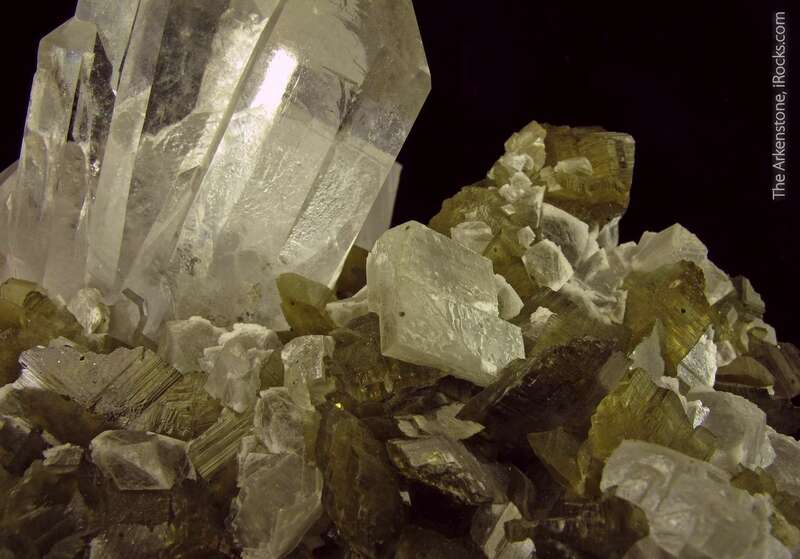 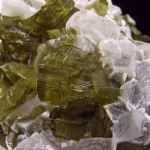 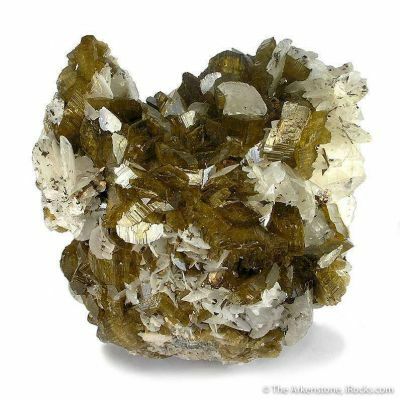 The flattened rhombs of Siderite are almost discoidal, and the crystals are gemmy, lustrous, and golden-olive in color. 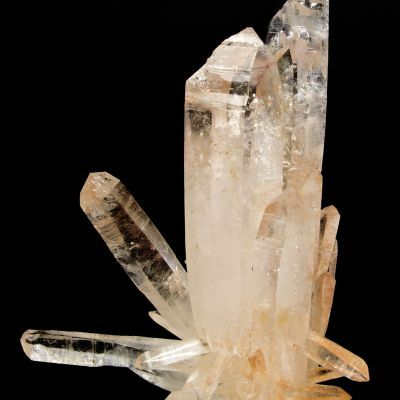 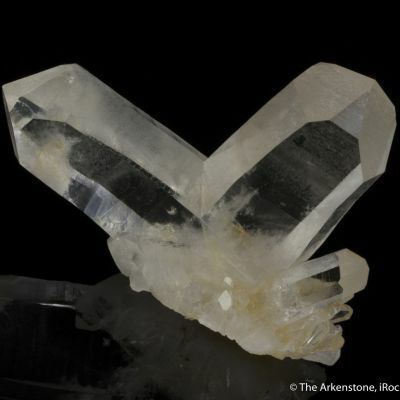 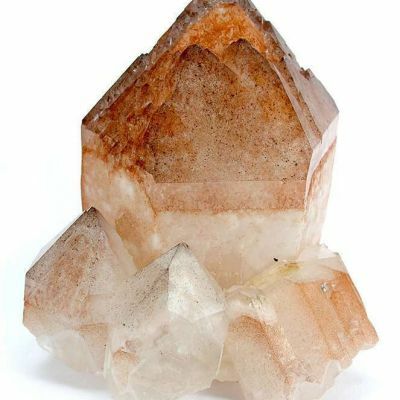 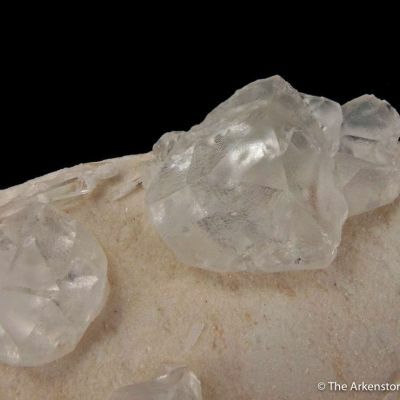 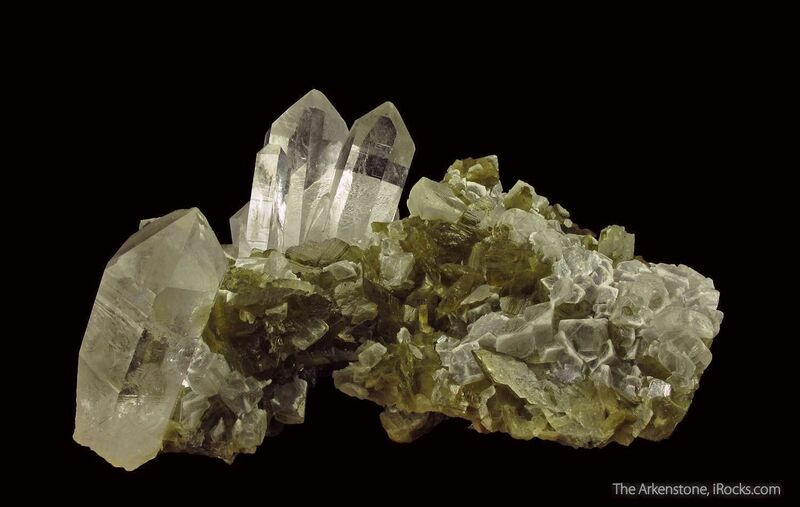 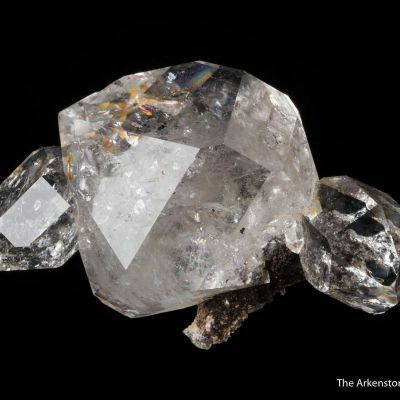 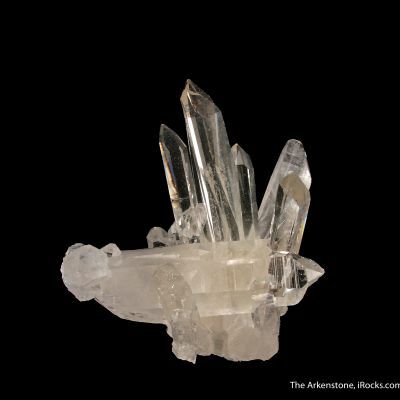 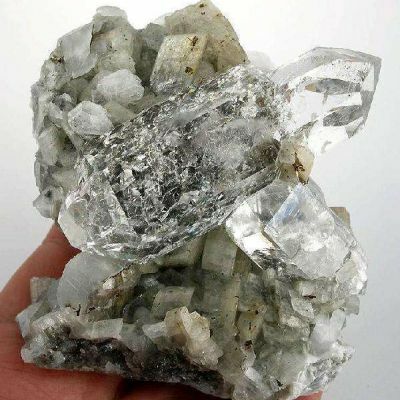 The Siderites range up to about 1.8 cm across, and they are interspersed with colorless and lustrous Dolomite crystals that reach up to 1 cm on edge. 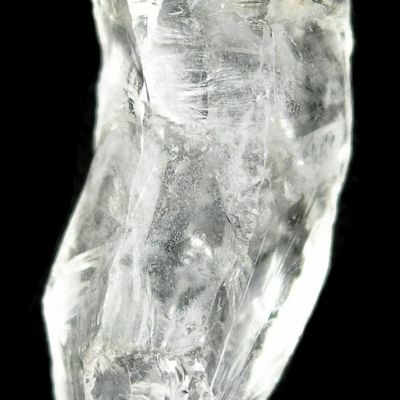 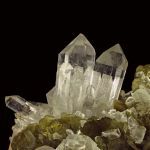 The translucence of the Dolomites creates a gray tint in the crystals, and many of the rhombic edges are frosted white, which is quite an attractive effect. 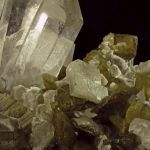 The combination of the two carbonate species together is not unusual since they are both part of the same mineral series, although the aesthetics of the mix really IS unusual! 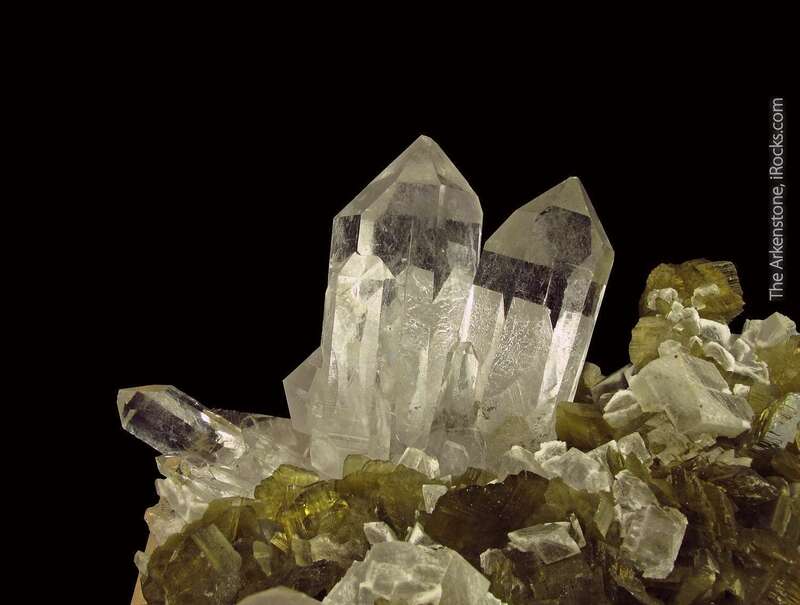 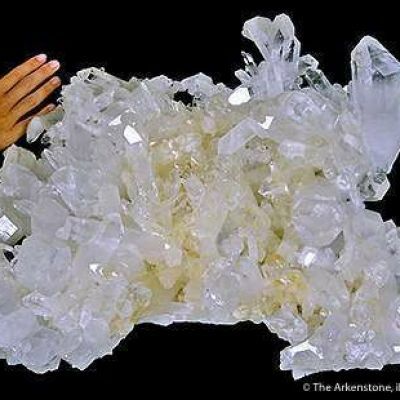 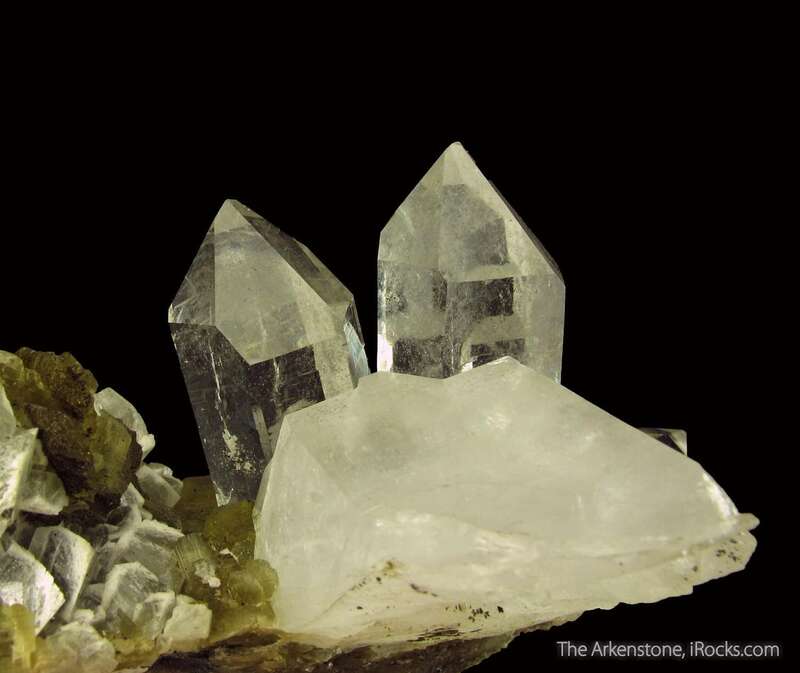 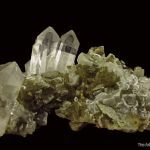 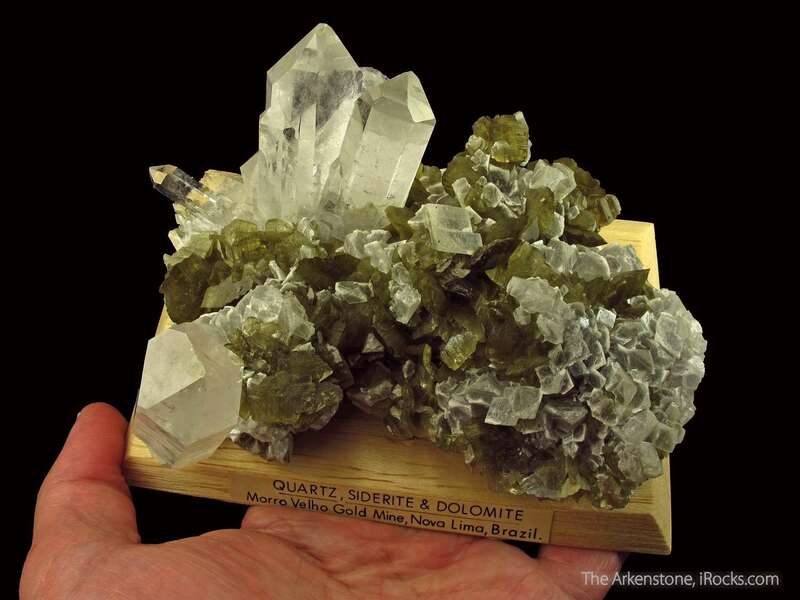 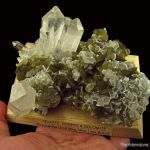 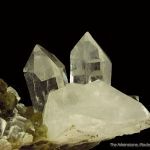 And if that wasn't enough, all the Siderites and Dolomites are nestled among and below excellent Quartz crystals that rise like sharp mountain peaks above the specimen. 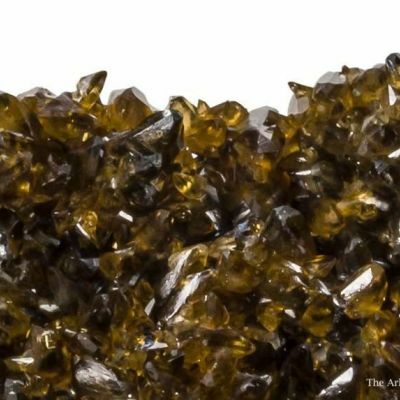 Inevitably, all those sharp edges to the rhombs lend themselves to some edge wear, and there is some, but it is not significant and blends right in to the complexity of the piece. 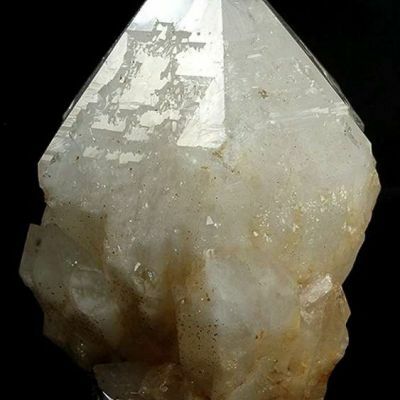 The overall aesthetics are outstanding.